Washington DC, [USA] Oct 20 (ANI): The upcoming biopic 'Bohemian Rhapsody' based on the life of American singer Freddie Mercury has become the second film, after 'Kingsman: The Golden Circle' to be showcased in the brand new ScreenX format. New Delhi [India], May 15 (ANI): For all music fans out there, the trailer of the much-awaited "Bohemian Rhapsody" is out and actor Rami Malek's retro style looks quite intense. London [UK], Dec 5 (ANI): Bryan Singer, best known for directing the X-Men films and 'The Usual Suspects', has issued a statement regarding his removal from the upcoming Freddie Mercury biopic 'Bohemian Rhapsody'. Los Angeles [U.S.A], December 3 (ANI): Production giant 20th Century Fox has halted production on Queen biopic 'Bohemian Rhapsody' due to the absence of its director, Bryan Singer. Washington D.C. [USA], Nov. 6 (ANI): American actor Rami Malek, best known for his role in television series 'Mr. 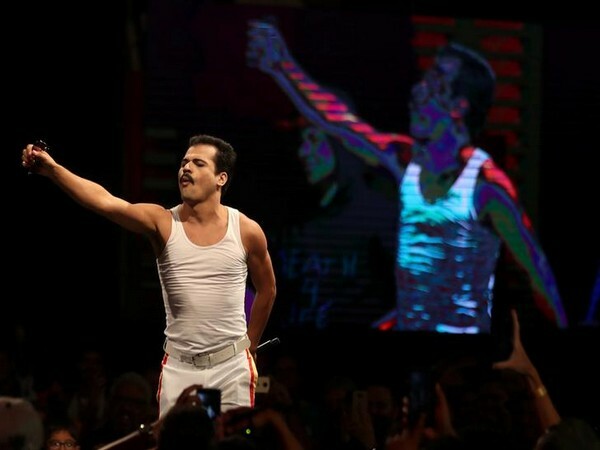 Robot', will now play Freddie Mercury, the frontman of British band 'Queen' in an upcoming biopic.